This entry of Pop Heart continues a discussion about God of War started in the previous column. Read that here. I was apprehensive about the God of War reboot. Despite adoring the previous games, I had matured since last playing the original trilogy. As a kid, my struggle with gender identity allowed me to relate to the Ghost of Sparta’s rage, self-loathing, and insecurity. I was no longer that nihilistic immature man child. 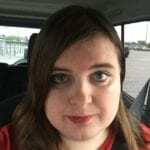 My feminine side had blossomed through the power of hormone replacement therapy and I’d been evolving in mind, body, and spirit for nearly two years. I was a completely different person and worried that the new God of War wouldn’t have matured as I had. The game proved me wrong. God of War 2018 is a watershed moment for video games. The introspective epic is a gamechanger akin to Bioshock and The Last of Us, a landmark in the art of interactive storytelling where the narrative and gameplay harmoniously coalesce into a thematically enriching experience. The God of War reboot is great for a multitude of reasons but the first and foremost is its plot. The story follows Kratos years after the end of the original trilogy. Middle-aged (for a god), he now dwells in a rustic shed in the Scandinavian wilderness with his young son Atreus, preparing him for inevitable adulthood. For once, Kratos is at peace. Life, however, is not as good as it appears. Prior to God of War’s start, Faye, Kratos’s wife, died from an unexplained illness I like to call “plot hole nucleosis.” Kratos and Atreus go on an epic quest to fulfill her dying wish: that they scatter her ashes atop the highest peak in all the realms so that, barring a Big Lebowski- esque incident, she can rest in peace. Their family hike is a perilous one. 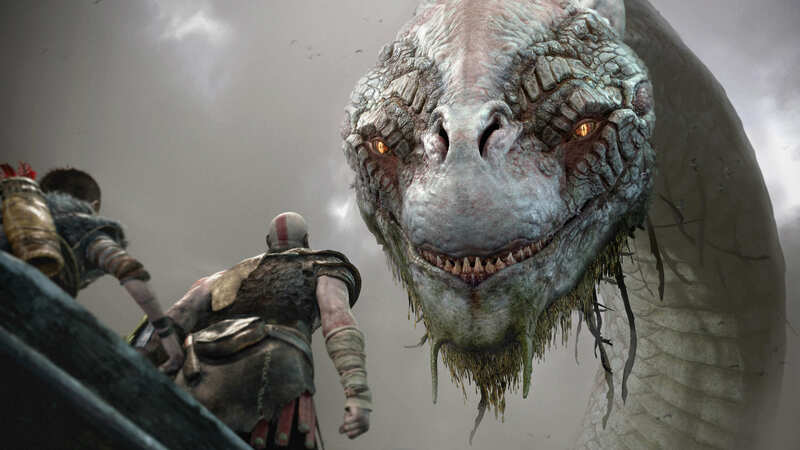 Kratos and Atreus encounter many beasts, characters, and even gods from the Norse pantheon, becoming entangled in their drama along the way. They meet Freya, the Witch of the Woods and master of expository dialogue, along with cursing dwarves, and the invincible Baldur, who is hunting them down to force a confrontation with Kratos. Combine all these storytelling elements and you have a gripping game that provides a base for some truly thematic visuals and immersive gameplay. 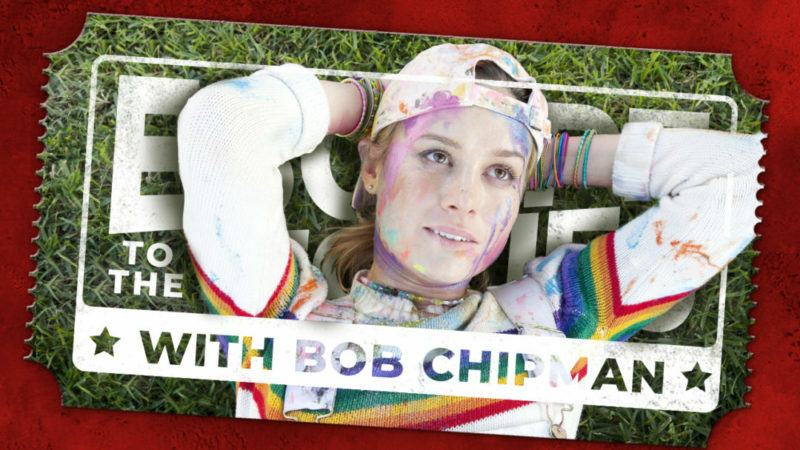 Soft reboots are en vogue these days. Where a regular reboot rebuilds an intellectual property after nuking its continuity from orbit, a soft reboot’s standard operating procedure is to be a sequel/prequel to an already established property while updating the characters and aesthetic to make it feel fresh. God of War is a soft reboot. Beyond the new story, tone, and Norse mythological setting, God of War features a whole smorgasbord of updated features such as incredibly satisfying combat. The Leviathan Axe, the melee weapon that has replaced Kratos’ iconic Blades of Chaos, is incredibly fun to use especially when getting into the flow of God of War’s rhythmic fight sequences. The Leviathan Axe allows you to get into a groove when bashing the skulls of trolls, ogres, and draugr. 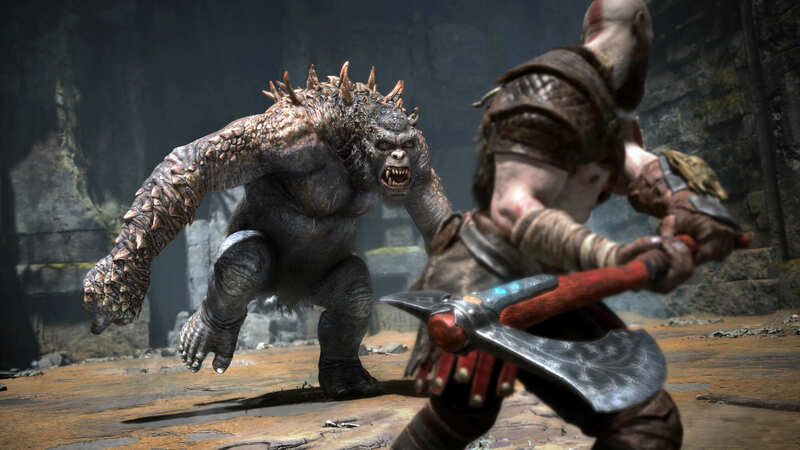 Various other fighting mechanics including epic boss battles, riding enemies, and brutal executions return to affirm that this is a God of War game. The biggest update, however, is to Kratos himself. God of War makes it clear that this is a new Kratos. The Ghost of Sparta is no longer a young god trapaising through the deserts of ancient Greece and mercilessly murdering every gorgon in sight. His days of only being motivated by revenge and bathing in the sweet nectary blood of his foes are over. The rageaholic version of the god slayer fans once adored had turned somber and depressed. His once explosive rage has been lowered to a simmer, coming to the surface only in times of need rather than spontaneously. Kratos is fundamentally a different person. Like the game itself, he is trying to reboot things. I understand Kratos’ desire to restart his life from scratch. His character arc where he goes from resenting his past to accepting takes me right back to when I learned to accept my gender identity. At the beginning of the game and at the start of my transition, Kratos and I were ashamed of past events in our lives and who we were as people. We desired nothing more but to reboot our lives so that we could begin with a clean slate. Kratos got married and started a new family, moving on from the pain of losing his first family. I started hormone treatment and legal maneuvers to become a woman both in body and community. Reality, however, doesn’t allow us to forget our pasts so easily. For myself, hormones have accomplished a lot of my transition goals in feminizing my body, but they can only do so much. Many of my masculine features prior to starting transition still remain. My beard, jawline, and broad shoulders ensure that the world knows I’m trans rather than allowing my to pass as a cisgender woman. Kratos has similar troubles. 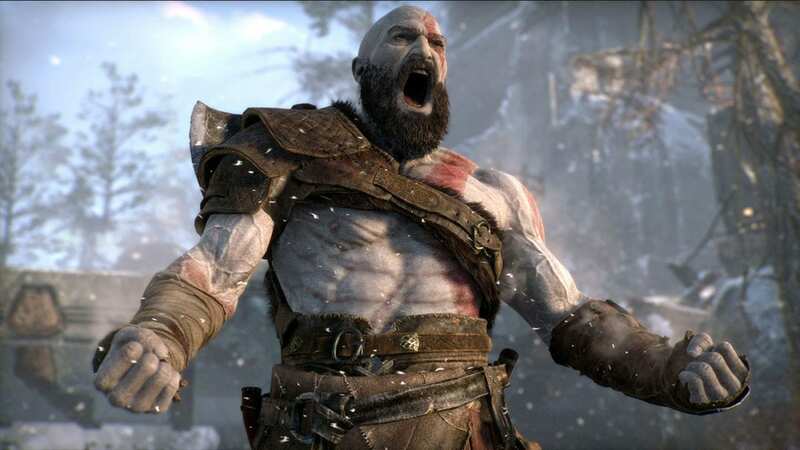 In the opening cutscene, Kratos fumbles with his bandages to hide scars left from the Blades of Chaos, which are symbolic of the old life he is trying his damndest to bury. Watching the story in action, we see Kratos attempt to separate his old life from the new. He conceals his past from Atreus, who doesn’t know about his own godhood. He wants to spare Atreus from knowing the truth about his father’s murderous past. What kind of father would the Ghost of Sparta be if he sat Atreus on his knee and told a grand tale about how he sliced up his wife and daughter and then pummeled his own father, Zeus, for revenge? How could Kratos tell Atreus about his godly heritage when Kratos hates the fact that he is a god? Being honest here is a tough predicament because Kratos doesn’t want to lose Atreus. Our intentions are pure. For our futures’ sake, we will avoid dredging up past memories to spare ourselves and loved ones from the resulting anguish. However, our inability to tell the truth is weighing us down, and our reluctance to reconcile our pasts is affecting the outcome of the present. 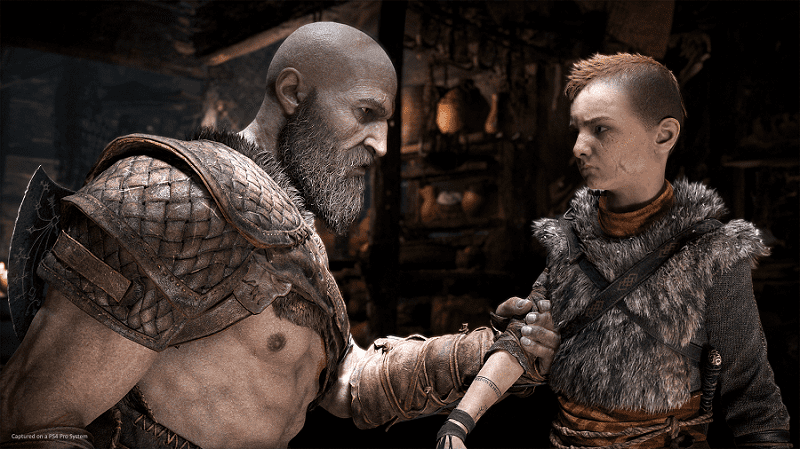 Regarding Kratos, his relationship with Atreus for the first quarter of the game is pretty sour because Kratos won’t be honest with Atreus or trust him to hold Faye’s ashes for any stretch of the journey. Despite wanting to abandon his tumultuous history and focus on his son and their quest, Kratos can’t divorce the past from the present. He committed atrocious acts, but they are what led him to his new life. He has to accept that. This is the story arc of the game. Sure, they’re on a perilous journey and being chased down by a Norse god who looks as if he listens to hipster black metal. But the crux of the game is Kratos learning how to accept where he’s at in his life so he can have a good future with his son, and literally digging up the past, symbolized when Kratos literally digs up the Blades of Chaos to aid their journey, so he can finally see eye-to-eye with Atreus. My outlook regarding my gender identity was similar. I needed to let go of what I couldn’t control. I had to release the fact that I was born this way so that I could move forward with my life in a productive manner. I needed to be the woman I was rather than unrealistically wish I could change the past. I had to do what Kratos did: mature. But how do we mature? How can we be better when all we do is sabotage ourselves with bad actions and ideas? God of War, thankfully, has an answer. Kratos spends the majority of God of War teaching Atreus lessons that he needs to heed himself. The key one is: “Don’t be sorry. Be better.” In the context of Kratos’ character arc, this line is the soul of the game’s message. Kratos detests himself. He feels guilty for past events, yet life moves on. The only way for him to live better is to stop being angry with himself. God of War’s various subplots highlight that there is a better way forward than repeating the mistakes of the past. After all, one of the best lessons a parent can teach their child is to avoid repeating the same mistakes that they made in their youth. However, the Norse gods also give Kratos hope. Throughout the game, Kratos and Atreus learn more about Tyr, the Norse god of war. Unlike Kratos and Ares before him, Tyr preferred to solve problems through diplomacy rather than violence. A war god making peace causes Kratos to have an internal conflict. He hates gods because they’re generally selfish assholes like himself, yet Tyr represents how gods can be good. This moral conflict comes to a head in the climactic fight between Kratos and Baldur. Kratos tells Baldur: “The cycle ends here.” Kratos finally acknowledged his past crimes while also stating that there has to be a better future. If Tyr could buck the trend, then why not him and Atreus? God of War is about accepting our flawed histories so that we can live better futures. The story, gameplay, and themes coalesce into a gaming experience about how we must forgive ourselves so that we can prosper. We may feel regret over past actions or hate the way we were born, but in order to live better lives in the future, we have to reconcile with the past rather than repress it. It’s easy to kick ourselves over dumb decisions we made years ago, but the only way to grow is to learn from those decisions and keep pushing forward. Otherwise, we will be loathing ourselves forever rather than ending the cycle that perpetuates that misery. God of War proves that sometimes the best way forward is a soft reboot.